Teacher Service Commission TSC had conducted exam for the Primary, Lower Secondary and Secondary Level Examination for the Teachers open competition. 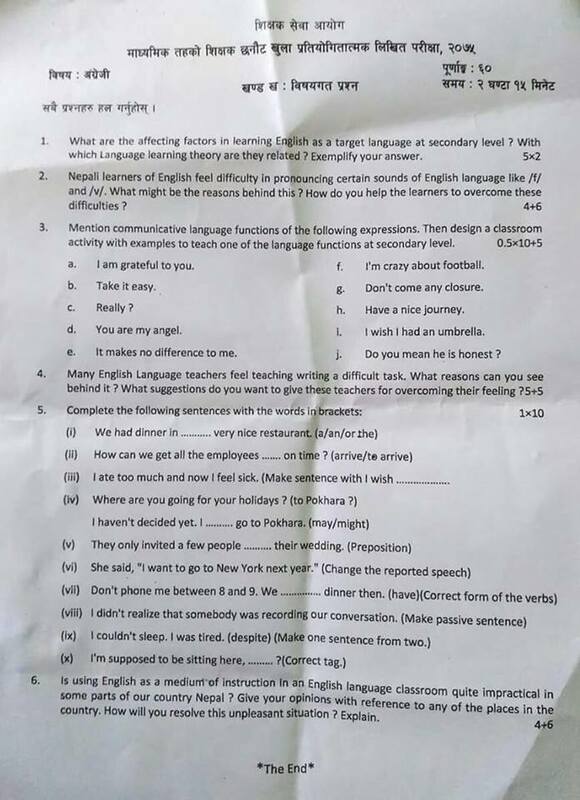 Here are the list of subjective question paper of English which were asked in the exam of Secondary Level teachers examination. The examination was held on 2075/06/11. a. I am grateful to you. d. You are my angel. e. It makes no difference to me. f. I'm crazy about football. g. Don't come any closure. h. Have a nice journey. i. I wish I had an umbrella. j. Do you mean he is honest? 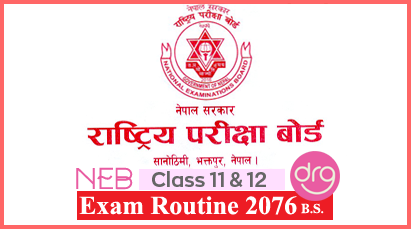 Check and Download TSC Secondary Level 2075 English Question Paper | Subjective Questions 2075 Teachers Service Commission. 0 Response to "English | Subjective Question Paper | 2075 | Secondary level | Teachers Service Commission"